Sony plans to upgrade their existing product line of electronic book readers as early as next month. They plan on taking on rivals Barnes and Noble, Kobo and Amazon whom all issued new devices recently. 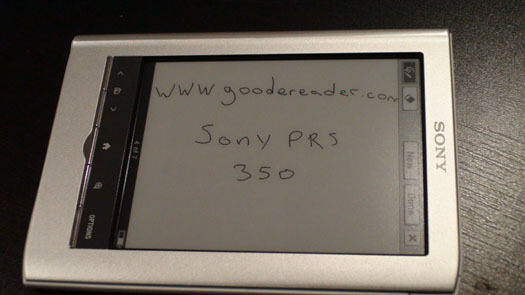 “The new Sony Reader will be released in two different models ranging in price from $180 to $300. The two new devices will have hardware and software upgrades and will have built in WIFI. They both plan on being launched this August before the companies S1 and S2 tablets are due out,” said Phil Lubell, vice president of digital reading at Sony Electronics. Sony plans on introducing the two models which are the spiritual successor of the PRS-350 and PRS-650. Sources have told Good e-Reader that the models will tap into Sony’s own book store. This is not only important to North American based customers to do business directly via WIFI but also to the companies ambitions to dominate the Japanese market. We also heard the company was going to use the Android Platform in order to deliver content and build synergy with its own official Android App. We reported in various stories that the reason why the PRS-650 became so hard to find this year was because Sony has expanded its operations to Japan and diverted all of their normal shipments there. The company made various agreements with local newspaper, magazine and book companies to deliver content exclusively in Japanese. Sony also has stated publicly many times that it is seeking to be the homegrown hero in the land of the rising sun. Although we knew for a long time Sony was developing new e-readers with stronger online functionality, including a web browser, it was not confirmed until today by Bloomburg. I am interested to know what screen and processor it is going to use. Sony has great reason to continue to make e-readers a priority because of the price difference between them and tablets. An entry level e-reader normally costs in the low $100 dollars, which a good tablet starts at $300. “We think there will still be a market for dedicated readers as long as tablets remain in the $500 price range,” Lubell said. I hope they do release a new reader. I like my 650, but compared to the Kindle’s over-the-air delivery, it’s like living in the Stone Age. Worse still, here in the UK, it’s quite clear that Sony don’t care about the market. They don’t have their own store and they’ve franchised it to the hopeless Waterstone’s online store which is both hideously expensive and horrible to browse. Somehow I doubt we’ll get much more love when the new readers come out which makes it more than likely I’ll end up jumping ship to Kindle. I don’t want to; the Sony readers are elegant, the Kindle is – dull, but the experience of browsing and shopping with Kindle is so much better. I was going to replace my PRS-600 with a Nook Color or a PRS-650, but if new Readers are coming, I’ll wait. I like my 600, but sometimes the glare can be a real pain. I’ll probably stick with my PRS-505. I buy a lot of my books in places other than the Sony bookstore, so an on-air connection to it is not very important to me. I’d probably leave it turned off to preserve battery life. Well, I think it will be available in Europe from September or October, but not earlier.